An EFB, or electronic flight bag, is portable electronic hardware, increasingly utilized for flight deck or cabin use to facilitate flight crews perform flight management tasks easier and more efficiently. At a basic level, EFBs can perform flight-planning calculations and offer a variety of digital documentation, such as navigational charts, operations manuals, and aircraft checklists. 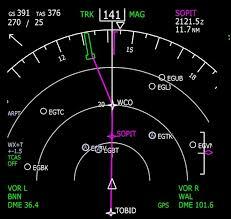 “A B737 Captain encountered frustration while using his moving map. Although the specific incident is not cited, the Captain clearly identifies an EFB operational problem and offers a practical solution for the threat. ‘In [our] new version of [our EFB chart manager App], … a setting under Airport Moving Map (AMM) … says, “Set as default on landing,” [and I cannot] … turn it off. If [I] turn it off, it turns itself back on. This is bad.… It should be the pilot’s choice whether or not to display it at certain times—particularly after landing. Here’s the problem with the AMM: When you zoom out, the taxiway names disappear. ‘Consider this scenario: As you turn off the runway at a large airport, you look down at the map (which is the AMM, not the standard taxi chart, because the AMM comes on automatically, and [I] cannot turn that feature off). You get some complicated taxi instructions and then zoom out the AMM [to] get a general, big-picture idea of where you’re supposed to go. But when [I] zoom out the AMM, taxiway names disappear.… [I] have to switch back to the standard taxi chart and zoom and position that chart to get the needed information. That’s a lot of heads-down [tablet] manipulation immediately after exiting the runway, and it’s not safe. The award-winning publication and monthly safety newsletter, CALLBACK, from NASA’s Aviation Safety Reporting System, shares reports, such as the one above, that reveal current issues, incidents, and episodes.